Selling a modern home in Asheville? There is a growing interest in the mid-century homes built from the 1950s-1975. Once thought of as the ordinary ranch house, buyers now prize these homes for the functionality of the floor plans, one-level living and great outdoor spaces. 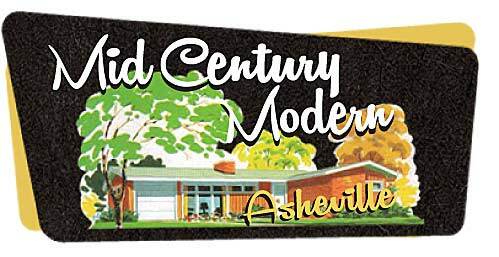 I specialize in helping clients sell modern and mid-century modern homes by making your home stand out and rise above the competition as well as by targeting the modern buyer looking for this specific type of home in the Asheville area. I have a network of modern resources that can connect you to the buyers that appreciate the design and features of your home! Our marketing includes: Professional photos, MLS listing, multiple web-site listings, email flyers to the Asheville Board. AND target marketing to today’s potential modern buyer through social media, blogs and our modern network. • Coordinate painters, landscapers, packers, haulers, house cleaners, and other professionals who will help you get your home ready for the market. • Coordinate Home Staging assistance. Hosting Brokers Tours, Open Houses. • Communicate with you on a regular basis to provide feedback and market information. • Manage the entire sales process from listing to closing. • I am committed to surpassing the needs of my Clients before, during, and after the transaction.